A machine on the production line looks very complicated. It is designing material made from steel. Close-up shot. 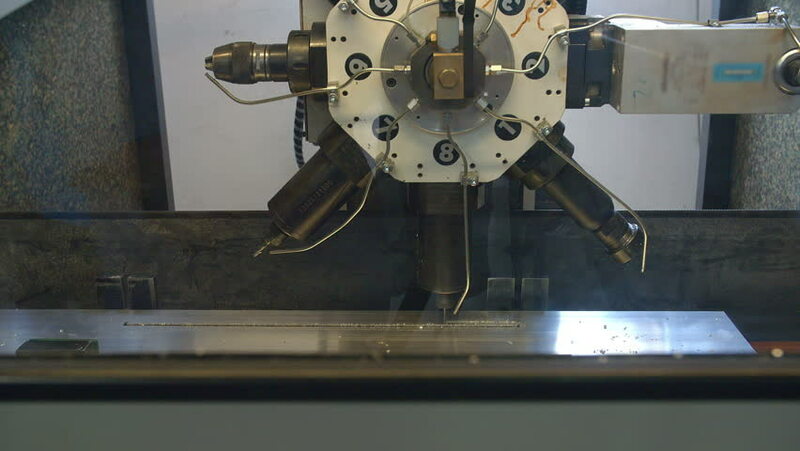 4k00:07Metalworking CNC milling machine. Cutting metal modern processing technology. 4k00:08KYIV, UKRAINE - AUGUST 25, 2016. Working with a movie camera on the set of the film. Filming. Film production. 4k00:07Cluj-Napoca, Romania - July, 2016: Close up view of seamstress' hands working on a sewing machine.